You are walking to class and you look down the street to cross the road, and all you see in front of you is a mob of students with their heads down, glued to their screens, unaware of the environment around them. Now I am sure this scenario is all to familiar for just about everyone in this class and as an avid texter I am 100% guilty of this. You look down to change what song you are listening to and then you see that you have notifications from Snapchat or that someone has texted you. What was originally supposed to be about a ten second task has turned into you with your head down, looking at your phone for five minutes straight. We have all gotten the technology is ruining our generation’s ability to communicate speech, but I am here to talk to you about the physical affect of looking down at your screen for long periods of time. The medical field has deemed this phenomenon to be called “Text Neck”. Now this term is used to describe the pain in one’s neck that is a result from holding your head in the downward angle in which you do while texting. Maintaining that stance for long periods of time can lead to neck pain and even long term spinal damage. While some of you may be questioning this rising phenomenon,stating that other activities such a reading cause our necks to be held at the same downward angle, texting just adds to the list of already potentially harmful activities when conducted for long spans of time. In a recent study it was discovered that 79% of the population that fall in the age range of 18-44 years old have their cellphones with them almost always, with only a two-hour window spent throughout their day awake without it on hand. Not only is the technology more prominent in today’s society, the pressure your are putting on your neck only increases with the sharper angle your neck is in as demonstrated in this picture. This phenomenon is going to continue to grow at its already steady rate unless people are aware of the potential harms and proactive in fighting them. For those of you slightly freaked out by the above information, do not worry there are preventive measures one can take in order to avoid the extremes. The Spine Health Institute provides three tips for beating “text neck”. The first being causal neck stretches that one can do while sitting on the floor, to relax the built up tension on your upper back and in your neck. Another tip they disclose is that when you are performing activities such as reading or responding to a text or looking at a computer screen, try to keep the material you are focused on at eye level. It will provide the correct spinal support and prevent injury in the long-run. Last, but not least, one of the best ways to beat this phenomenon is to put your devices down and get moving. No high score, or twitter notification is worth placing your well-being in harms way. This entry was posted in Uncategorized on September 15, 2016 by Rachel Waite. I’ve actually never heard of “text neck,” so thanks for sharing this! Our society today is so absorbed in technology it’s actually concerning. It definitely wouldn’t hurt to put down the phone once in a while and look around. Staring at a phone or computer screen for extended periods of time is addictive and is harmful to our mental state and well-being. Here is an article that discusses a correlation between mobile device obsessions and high levels of depression and anxiety. This is a very interesting article, I didn’t know this was actually a thing. I frequently text and look down at my phone in the same posture described in the article, and it is very alarming. It seems between the health problems like cancer cell phones can cause and now neck problems, they’re bigger trouble than they may be worth. My parents are firm and loyal believers of the “text neck” phenomenon. They usually argue with me because whenever I’m glued to my phone, my neck literally looks like a hook. I definitely feel the consequences of holding that position for so long whenever I look up and there’s an intense pain in my neck. I’ve been trying to lessen the impact of the strain using my phone causes on my neck by 1. listening to my parents whenever they tell me to get off my phone, and 2. by doing a little bit of research on the subject. Here’s an article I found on how to avoid “text neck”: https://www.cnet.com/how-to/how-to-avoid-text-neck/. Hopefully it’s helpful to our fellow “text neck” community out there! 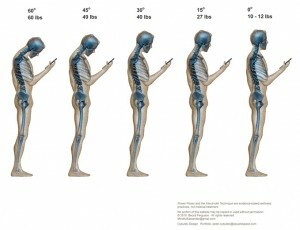 Is really sad that our generation is developing neck issues because we refuse to put or phones down. I already see young children bending their necks just to look at an iPad. Its worse for them because their bones are still developing. 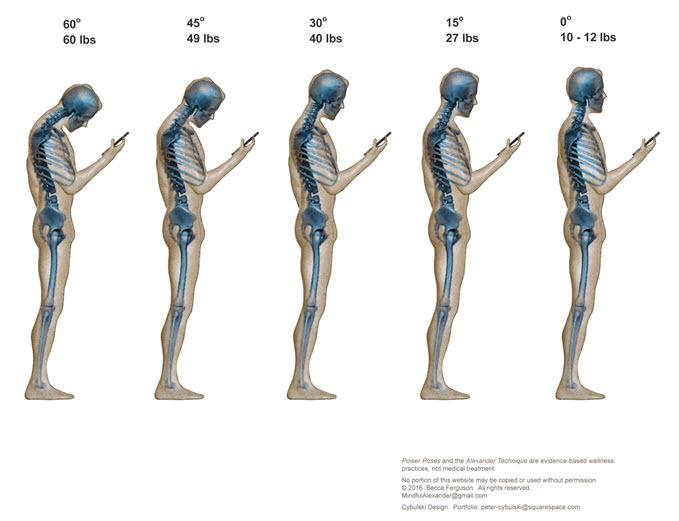 I hope more people realize the serious damage they are putting on their necks by looking at their phones. I am one to admit, that I have shamefully committed this act. yes, I did almost get hit by a car once by looking down at my phone. But I do believe this article is very important, especially the millennials. Since technology, especially smart phones are so prevalent in todays world, it will be interesting to see how the next generation evolves. If they do conceive this so called text neck. http://www.spineuniverse.com/wellness/ergonomics/your-cell-phone-killing-your-back here is a website to show you what might happen in the next few years. It probably can be linked to bad posture as well, definitely learned something from this blog post and will be keeping an eye out on myself.